Meet the gorgeous Miss Sprinkles. She was brought to Animal Friends through our Low-Cost Spay/Neuter program but ended up sticking around! Now she’s looking for a loving home. Miss Sprinkles is FIV+ which means that she has a weaker immune system than other cats. This doesn’t stop her from leading a perfectly happy and healthy life! This just means she would do best in a home with no other cats or with cats who are also FIV+. 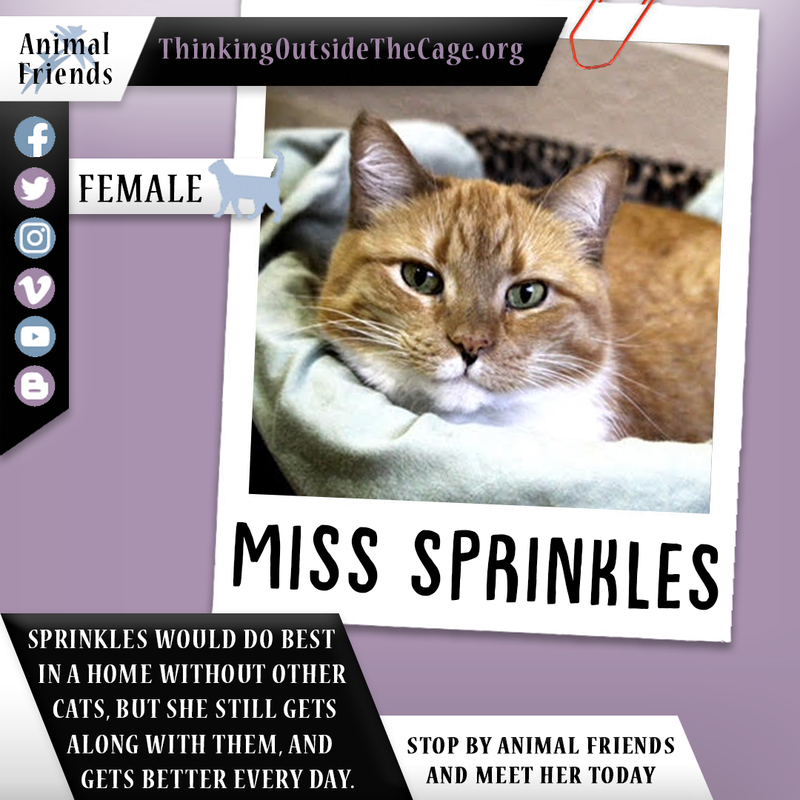 Miss Sprinkles can be cautious around new people but gets along very well with other cats. She is getting better with people each day, however, she will probably need some time to adjust to a new home. Once she settles in, we’re sure Miss Sprinkles is going to be the sweetest and most loving cat you could ask for.